The 2-pound male red-tailed hawk was ‘‘alert’’ after being freed from the vehicle’s front undercarriage in Bay Shore and treated. A drive on the Sagtikos State Parkway turned fowl Sunday afternoon for a motorist when a red-tailed hawk — likely seeking lunch — flew underneath the front of his pickup truck and became stuck there. 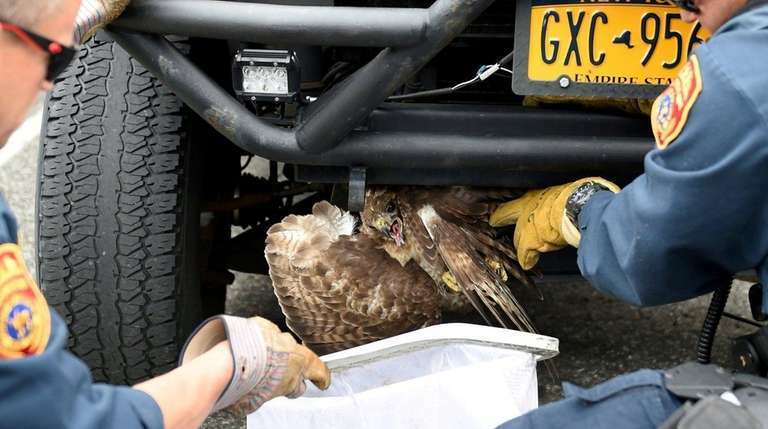 The adult male hawk was freed from the vehicle by Suffolk County police officers about 1:30 p.m. after the driver parked on Howells Road in Bay Shore and found the bird lodged in the truck’s front undercarriage, authorities said. 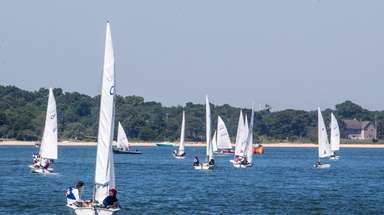 Officers from the department’s Third Precinct and Emergency Service Section responded, along with the state Department of Environmental Conservation and a local rescuer. The 2-pound hawk will need surgery for a broken wing in a few days at Animal General of East Norwich, according to Bobby Horvath, a wildlife rehabilitator with the North Massapequa-based Wildlife In Need Of Rescue And Rehabilitation. The bird will have a metal rod and screws placed in its wing and then removed six to eight weeks later. 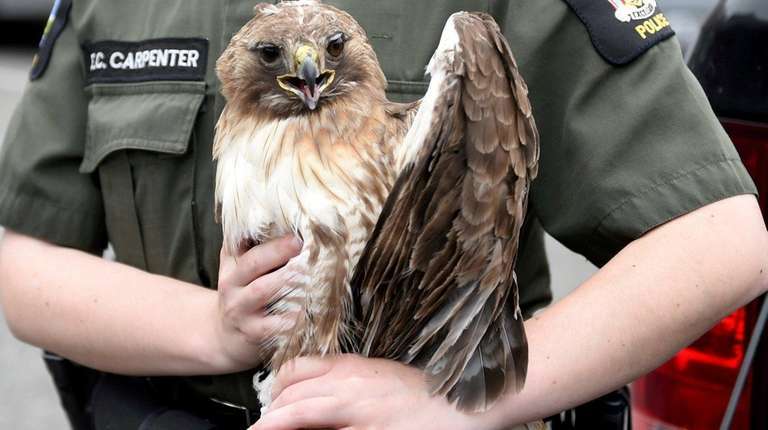 “It’s an amazing feat that the bird survived,” Horvath said, noting that the hawk was “standing and alert” Sunday afternoon after its wing was wrapped and it had received pain medication and an antibiotic injection. Birds perched on the tops of trees will sometimes see prey on the ground and fly down with “tunnel vision” without noticing an oncoming vehicle, Horvath said.